Super Junior's Leeteuk almost changes his stage name to Leeteu in latest 'SJ Returns' season 2 teaser! Super Junior's Shindong, Leeteuk, and Heechul started up an impromptu rap battle in their latest 'SJ Returns 2' teaser clip! 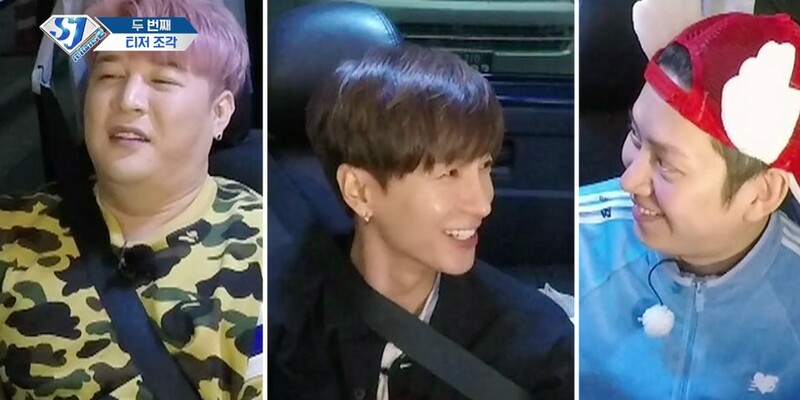 Season 2 of Super Junior's web variety series takes place entirely in Japan, capturing the members' funniest moments in their waiting room, in the car during travels, and more. In the latest teaser below, Heechul kicks off a rap battle where the last word of the rap must end in the "-teu" sound. When Leeteuk's turn came around, the Super Junior leader tried to end his rap with "I am the one and only, Leeteu~~~", earning jeers from Heechul and Shindong! 'SJ Returns 2' will be dropping a teaser for its premiere every day this week, so look out for all the laughs until the premiere on November 5 at 11 AM KST! YAS IM SO EXCITED. It's sad that Yesung won't be in this season but he's preparing from his solo comeback (i think?) so I can't wait for that to happen!